Visit Arizona Guest Ranches and Dude Ranches to celebrate the seasons at a beautiful dude ranch on horseback surrounded by majestic national forests in Arizona. Browse our list of Arizona dude and guest ranches below. Your All-Inclusive Western Resort includes three meals per day, accommodation in an authentic guesthouse, meals, guided trail riding, wireless internet, Jacuzzi and heated pool, evening entertainment, ranch activities, and desert adventures. Sprucedale is a family-owned and operated guest ranch located high in the cool White Mountains of eastern Arizona. Owned by the Wiltbank family from the early 1940's, Sprucedale has made many wonderful memories for guests from all over the world. 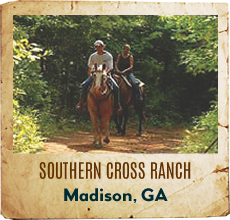 Of course, the wonderful horseback riding is a major reason people come to the ranch. The Wiltbanks raise and train their own string of horses. One of the oldest ranches in Arizona, it's unique setting in the beautiful Texas Canyon, amidst gigantic boulders piled high in startling formations, offers some of the most spectacular scenery in the southwest. At an elevation of 4500 feet, temperatures at the Triangle T Ranch are moderate year round. All-inclusive riding programs available. An authentic dude ranch located in the Tucson Mountains. Ranch adjoins the Saguaro National Park. Our varied horseback riding program includes slow rides, fast rides, breakfast rides, all day rides and team penning. 45 rooms, meeting facility, heated pool, lighted tennis/sport courts, and guided hikes are just a few of the amenities and activities available. Operated by the True family since 1965. Where authentic tradition meets unspoiled adventure. Join us for out 93rd season in Arizona's Sky Islands, where mountains rise dramatically from desert lowlands and canyons reveal lush valleys. Thousands of acres await your exploration on ranch bred horses in the dramatic and diverse desert of Southern Arizona. 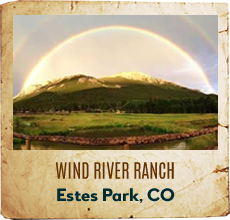 As a family owned and operated ranch, we welcome you to our magical oasis. Tanque Verde Ranch is a premiere Arizona guest ranch resort, offering fantastic horseback riding, tennis, guided hiking, mountain biking, nature walks and other nature programs, as well as a fully supervised children's program! 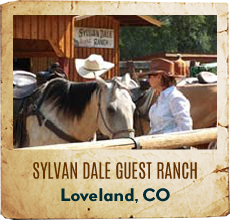 If you're looking for a ranch vacation or country getaway, look no further! This Arizona ranch, located in the lush Sonoran desert. Family owned and operated since 1948, Rancho de los Caballeros sets the standard for a luxurious ranch vacation. 79 custom decorated rooms, three gourmet meals a day, 100 head of horses, 18 championship holes of golf, all set on 20,000 acres of pristine Sonoran desert. An ideal spot for a family reunion, a romantic getaway, or a corporate retreat, Rancho de los Caballeros has something for everyone. 10,000 acre working cattle ranch in the Mogollan Rim country of far eastern AZ. 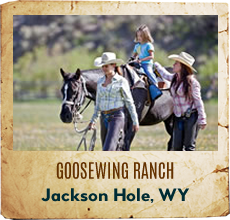 Come join our family for a genuine, virtually private, western ranching experience. 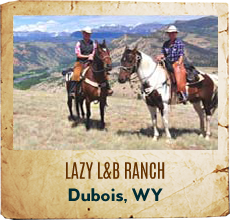 We just have room for a few guests at a time,so you'll be living and taking part in a small family-run ranch. About 50 miles SW of Tucson, you'll find Elkhorn Ranch tucked into the foothills of the Baboquivari Mts surrounded by the wide open Altar Valley. 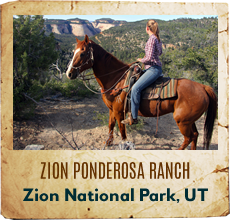 Enjoy family hospitality, friendly horses, and curious Sonoran Desert wildlife and plants. Sun seeking adults enjoy winter month holidays, with families at school breaks. 20 cabins, average capacity of 32. Owned/operated by Miller Family since 1945. 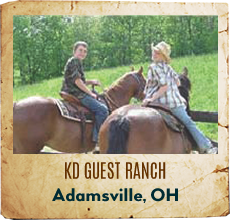 Stagecoach Trails offers a family owned and operated guest ranch where you can enjoy home-cooked meals, horseback riding, friendly staff, great facilities, and lots of peace and quite. We also have a swimming pool & hot-tub, go-kart & quad rides, Frontier Lodge, horseshoes, ping-pong, tether ball, volleyball, & basketball. Guests will also enjoy nightly activities such as campfires in the courtyard, game nights, line dancing, cowboy singers, or just hang out in the Lodge or outside under the stars. All activities are based on number of guests that week. 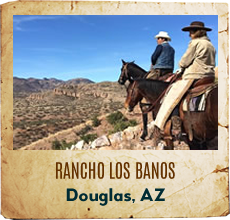 Rancho Los Ba�os is a 30,000 acre adventure guest ranch and working cattle ranch.We are a scenic nature travel destination and pristine wilderness area enveloped by some of the most unique, inspiring, diverse and spectacular desert landscapes anywhere. 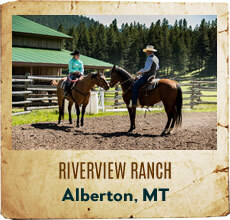 At the ranch, guests stay inside 30,000 acres of serene, remote, quiet and protected wilderness. 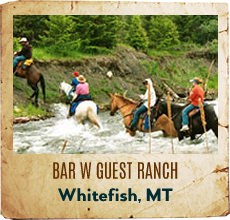 Experience a unique, original and exclusive ranch.